Browse our new 2019 Catalog! 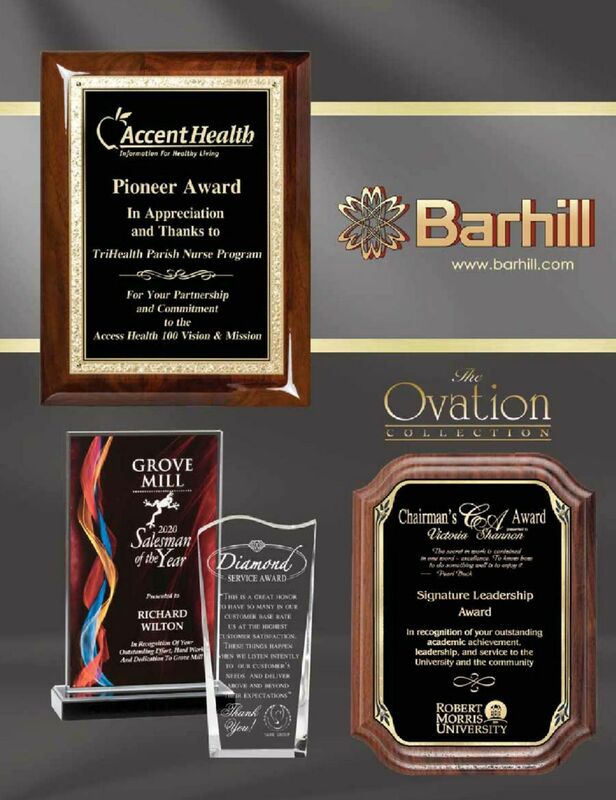 Since 1954, Barhill's simple elegance has honored distinction from corporate boardrooms to local offices across America with quality plaques and corporate gifts for all occasions. We provide an unparalleled selection of products to meet all of your awards and recognition needs. Our catalog contains hundreds of plaques, clocks, acrylic & crystal awards and many other unique gift items. In addition, we can also personalize any of our products to meet your needs.